As part of the larger MultiCare Urgent Care Centers, this clinic has affiliates with the closest other clinic being in Seattle about 12 miles away and is open today from 9:00am to 8:00pm. 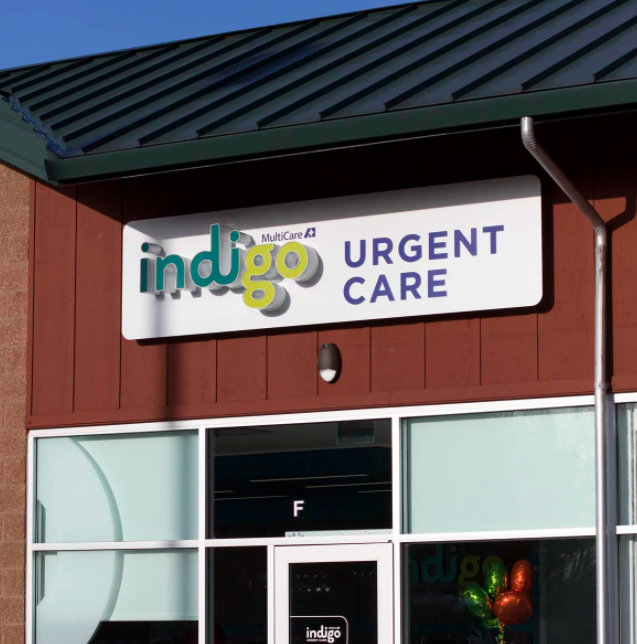 Recognized favorably amongst their patients, MultiCare Indigo Urgent Care, Issaquah has an average rating of 4.9 stars out of 5 based on 595 total ratings. Wonderful facility but so slow!! There was almost no one there but it took so long it was frustrating! Perfect. The staff was amazing! Looks like we found a quick solution for medical needs!!! Close family friend recommended we go to Indigo Urgent Care in Issaquah. My son wasn’t feeling well and needed to be looked at. Staff was friendly. Doctor was excellent and very thorough. Last thing anyone wants to do when feeling ill is jump in the car and head to the doctor. I feel better going forward knowing I can go to Indigo. Fantastic! Everyone was friendly and prompt. Dawn & Linneah were awesome! Great facility, and warm & friendly staff. I would highly recommend them!! Dr. Wright is super kind, knowledgeable, and thorough! Thank you, Dr. Wright! Really great. Even if I wasnt THAT sick, everyone was very kind to me, especially the provider. He is super nice. The best urgent care that I have been to... great staff !! All went just fine, we needed a swab and diagnosis and that was given! A plus was water/juice were offered while waiting and that was nice. Providers were kind, friendly, professional and knowledgeable. Great! Loved the doctor and the staff. We had great experience. We felt doctor took good time to see our daughter. She was friendly and knowledgeable. Dr. Tornberg and Mandeep were fantastic. Thank you so much for your care, concern, and great bedside manner.